I have not spent enough time learning SketchUp to be able to create detailed models. I like the idea, it has a free version (for non-commercial use), people can produce some excellent models in it but as I am already familiar with Blender, I tend to want to work in that. 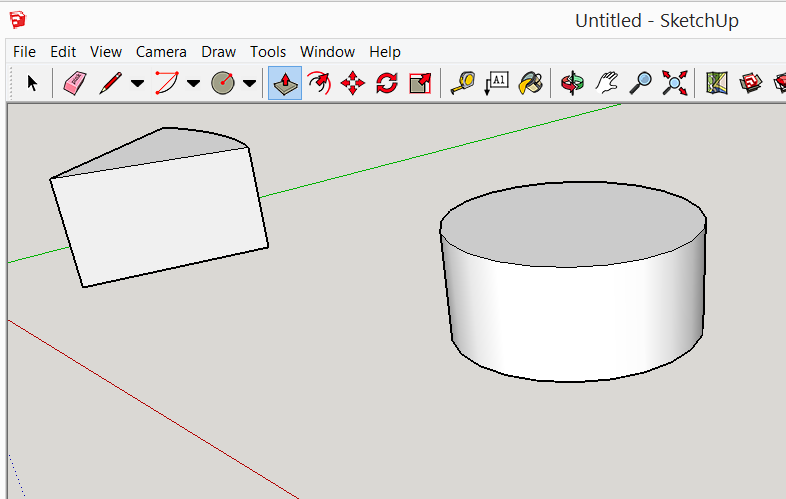 I can produce some basic shapes very quickly in SketchUp but I start to struggle when trying to add very detailed shapes and manipulate existing models. 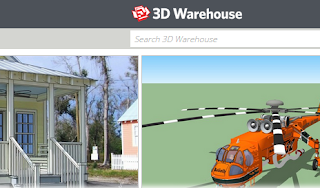 SketchUp has a huge following that create some excellent models and make them available, many of them licence free, on the SketchUp 3D Warehouse. Once I exhaust what I can do quickly in SketchUp I usually convert them to Blender. 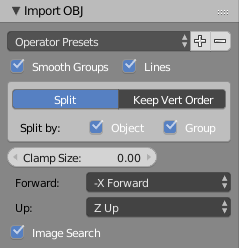 I export them from SketchUp as a Collada (.dae) file which usually Blender can import. I have had a few problems importing SketchUp files and if necessary I'll install the OBJ exporter available from the Extensions Warehouse. 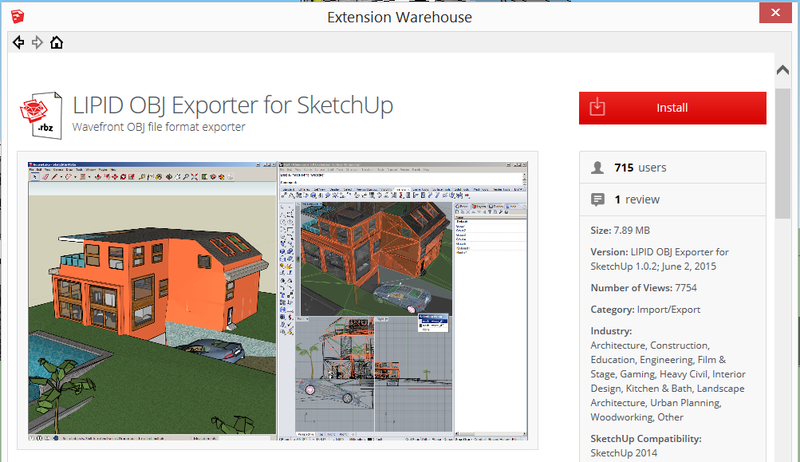 Click on the icon in SketchUp to open the Extension Warehouse and search for OBJ. 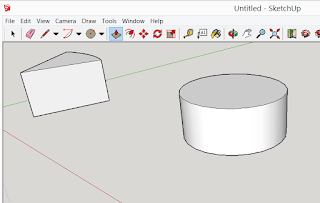 It is intended to work with SketchUp 2014 but I found it also worked with SketchUp 2015. A bit clunky but it worked to get the tricky models in to Blender in OBJ format. At the Blender end it may be necessary to adjust the rotation to get the model upright. Usually +Z Up is the correct selection.